From the tried and tested off-the-shelf models to race-team ready custom bikes, we can get you rolling in style. 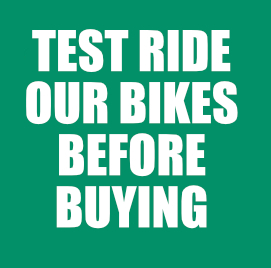 We actively encourage you to test ride before buying a bike from us and also offer a free service following the "riding-in" period. 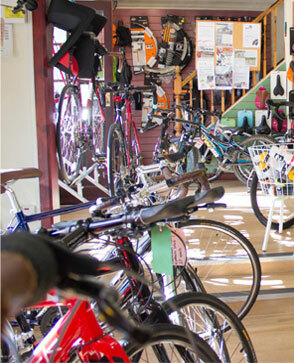 Every new cycle that we sell has been thoroughly checked and rechecked before it leaves us. The wheels are perfectly true and the hub bearings silky smooth, the brakes and gears are finely adjusted and the steering bearing has had extra grease added. In short your new bike will be a joy to ride! 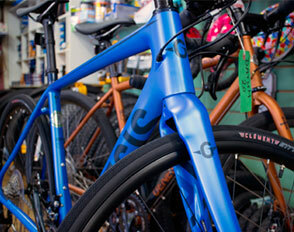 We have stocked both Ridgeback and Genesis bikes for many years and are completely committed to both brands. 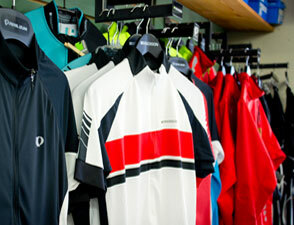 The Ridgeback range is enormous and we stock it in depth. Genesis offer a superb range of Steel, Alloy and Carbon roadbikes many of which we keep in stock. Here are some highlights, full details are on the Ridgeback and Genesis websites. 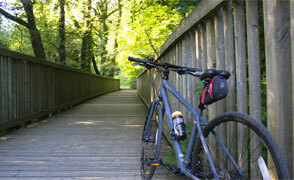 We build bikes to suit using Genesis Carbon or Steel frames. Fancy a team issue Carbon Zero built to your specification or a Croix De Fer with a triple chainset and a dynamo hub for touring? No problem! Just come and talk to us.